At Modern Kitchen & Home Solutions, our top priority is our customer's satisfaction. Our licensed professionals go above and beyond to ensure that you get exactly what you're looking for. We have decades of combined experience and awards to prove we're great at what we do. With us, you will always receive the best quality service and professionalism you deserve. Your kitchen is one of the high traffic areas of your home. Shouldn't it be attractive to both visitors and residents? Modern Kitchen & Home Solutions is a premiere kitchen remodeling contractor. Not only will we perform the installation work, but we will also supply you with the materials needed to complete your project. We are a one-stop kitchen remodeling resource that's readily at your disposal. The bathroom is a special place that is visited numerous times throughout the day. It's design and décor are key for creating an environment that is relaxing and private. If your bathroom doesn't instill tranquility in those who use it, why not give it a makeover? Select one of our bathroom packages to have your entire restroom renovated into a masterpiece. All aspects of the bathroom can be included, such as the water fixtures, vanity, sink and floors. We will then implement it into your home. Don't overlook your basement – it could be transformed into a space for entertainment, leisure or business. A lot of our customers have hired us for their basement remodeling projects. Begin with having basement finishing performed, then decide what other parts of the space you want made over. Some opt to recreate their basements into bedrooms, bar, game room, office or kids playroom. The professionals at Modern Kitchen & Home Solutions are licensed, bonded and insured. We offer a great selection of products to go along with our bathroom and kitchen remodeling. Warranties are available on our products and services. Contact us today to learn more and to receive a free quote! Quality craftsmanship is our priority. We want our clients to truly enjoy the transformation of their homes and be excited with the completed project as well as the work progress on a daily basis. To us, this means, it looks the way it was expected to look, costs what is was expected to cost and the journey was enjoyable for you, the customer. Mickey launched Hassle Free Home Improvements, Inc. in 2003 to help customers overcome the most common concerns associated with home improvement projects: fear of the cost, lack of integrity and professionalism, the disruption and duration of the project, and overall lack of quality and service to the customer. Using management skills honed during his professional career, Mickey has built Hassle Free Home Improvements upon the fundamental belief that customers should know what to expect before they embark on a project and that contractors should deliver on their promises. Above all, the Hassle Free approach to home improvement recognizes the importance of making the project as painless for the customer as possible by minimizing the mess and disruption associated with such work. Mickey recently served as the Vice President and President of the Germantown BNI (Business Networking International). He was actively involved in the Rockville Junior Chamber of Commerce (Jaycees) for over a decade and held numerous offices including Chapter President. His professional accomplishments include winning the ABC Washington ‘Project of the Year’ award for the $ 25 million, 8-story 10 G Street office building and garage in Washington, DC, across from Union Station. Mickey lives in Germantown, MD with his wife and three daughters. Mickey is also an avid pool player and enjoys an occasional round of golf or playing tennis when time permits. 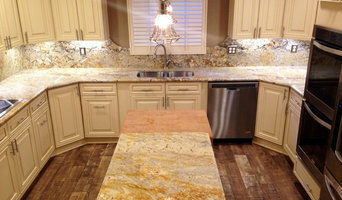 We specialize in residential Kitchen and Bathroom Remodeling. Here is where our heart is. Endless possibilities of styles and textures are combined to create such beautiful spaces! We are also known to put our expertise into residential Home Additions, Sunrooms, as well as Project Design and even New Construction. With an extensive knowledge and experience, we create affordable and unique kitchen and bath designs and remodeling to our clients. We work with our clients on a personal level, to meet their requirements and needs, from designing the kitchen and bathroom to selecting cabinets, tiles, fixtures, faucets, counter tops, etc and installing them. 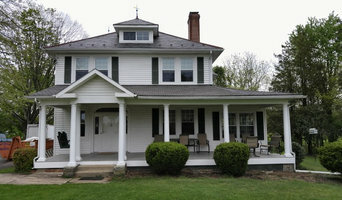 By using our remodeling services, we make sure that you get the highest quality of work on time with affordable budget. By dealing with us, you are avoiding dealing with several sub contractors and vendors since we are working with you from the start to the end of your kitchen and bathroom project on a daily basis. We have well known vendors who can provide us quality materials such as, kitchen cabinets, vanity, counter tops, tile, wood floor, fixtures, faucets, lighting and shower doors at a very competitive price. Tell us about your kitchen and bathroom remodeling project and find out how we can help make it real!! !